Do you feel insecure when you sleep? Do you have ADHD, Autism, OCD or Sensory processing disorder? Gravity Blanket has been engineered for you. Gravity blankets have been used in medical communities for many years. Recently the scientific studies show that gravity blankets can help people fall asleep faster and sleep more deeply, without a prescription, therapeutic training, or changes in routine. Gravity blankets are engineered to be 7-12% of your body weight to relax the nervous system by simulating the feeling of being held or hugged. More specifically, Gravity uses the power of proprioceptive input (more commonly known as “deep touch pressure stimulation”), a well-regarded therapeutic method that stimulates pressure points on the body linked to improved sleep, mood, and relaxation. 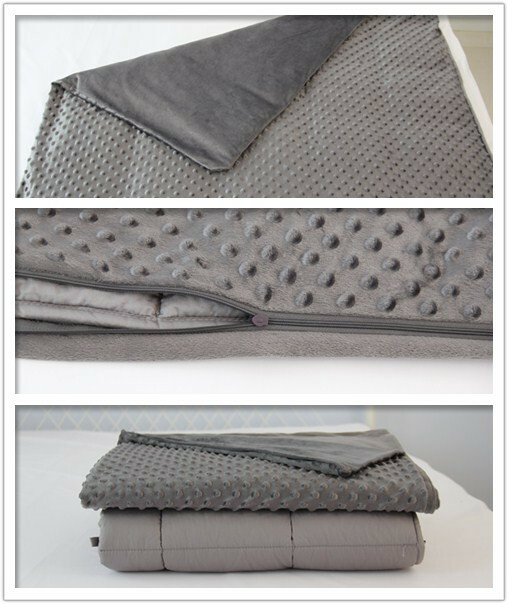 This entry was posted in Spring Share and tagged Gravity blankets supplier, pillow supplier, Security sleep, Weighted blanket manufacture by admin. Bookmark the permalink.